I have a few more projects to share with you today featuring the new Snowflake Splendor Card Kit which will be available Tuesday, October 17 9pm EST. The kit includes many gorgeous colours of card stock, I picked two of the purples, Lavender Fields and Wild Wisteria, for my projects today. I used the Layered Snowflakes Die-namics to create the snowflakes. 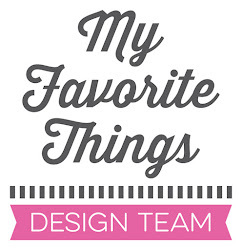 I love the dimension you can create with these fabulous dies. 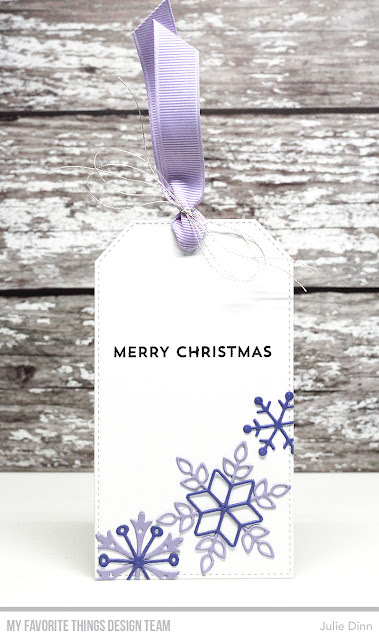 I like to make matching tags for my Christmas cards. I used a couple of the smaller snowflakes to create this one. The sentiment for the card and tag are from the Snow Globe Sentiments stamp set. I love the colours !! Super COOL card and tag! 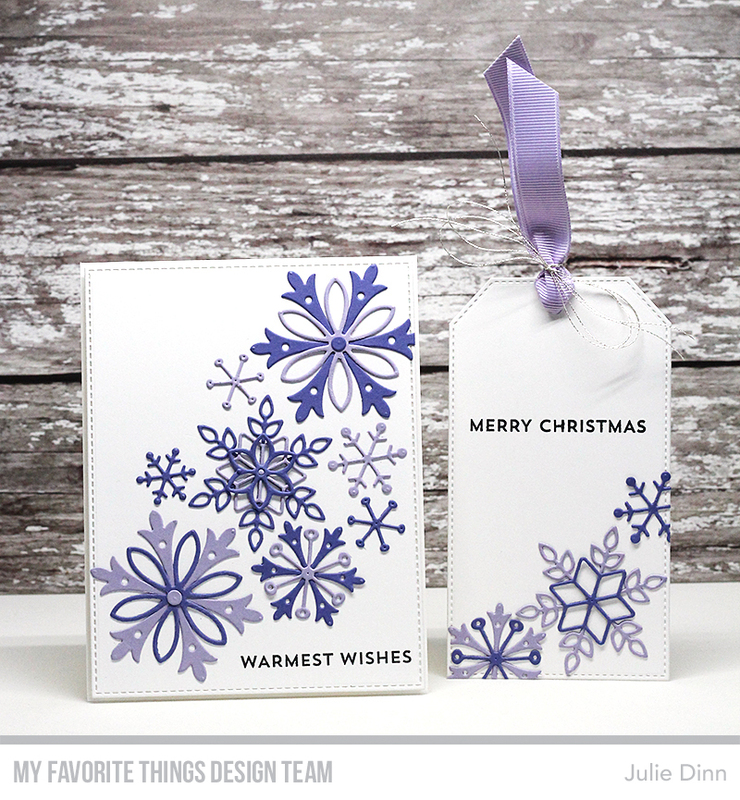 Beautiful card and tag set!!! Lovely card and tag! Beautiful colors! Beautiful card, I love this new stamp and die set but can't afford to buy it in US funds. I was watching a video the other day and so many comments were from people who had bought from the US and were being dinged $ 30.00 duty on their purchase. I just purchased my first die and stamp set from SSS and it cost me $47 by the time I got my Visa bill, I was lucky, I wasn't charged duty though! Unfortunately so many of the great stamps and dies come from the US, I hope our dollar increases and fast!